Best Whitening Mouthwash of 2019: Do NOT Buy Before Reading This! 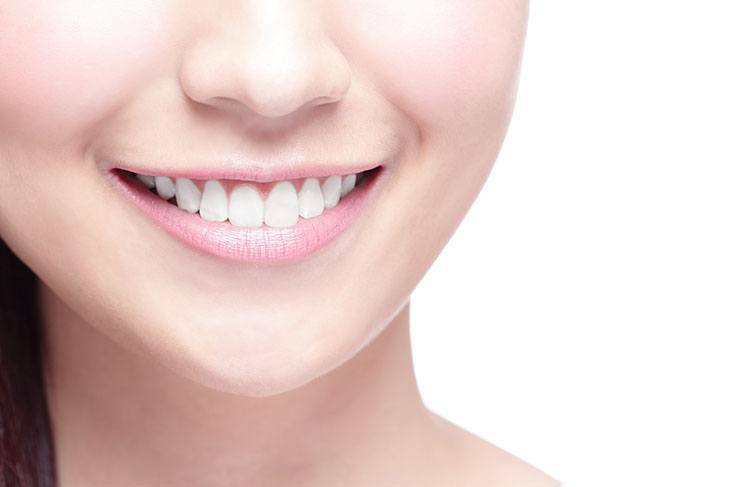 What Are the Active Ingredients in Whitening Mouthwash? As we age, our teeth frequently become much darker and can be stained, which is why people with white teeth often have a much more youthful appearance. Antibiotics, smoking and certain foods and beverages can stain our teeth. Coffee, tea, red wine, oranges and carrots amongst other foods are known to stain the teeth. As we age, the enamel or dentin may thin down causing our teeth to discolor from within. You may even be genetically predisposed to yellower teeth. Recent research has shown that the state of your teeth has a significant impact on people’s perception of your attractiveness. With poorly spaced and darkened teeth having an adverse effect on the perceived good looks of the individual (2). There are two primary ways to whiten your teeth – in-office where a dentist does it for you or at home using a commercial product. In office dental whitening can be expensive. It doesn't last forever and will have to be repeated relatively regularly. Over the counter, products are popular as they are relatively inexpensive and easy to use. The best mouthwash for whitening will gradually whiten the teeth. The most common ingredient that you will find in most mouthwash products is hydrogen peroxide. It is diluted by mixing in other elements. Typically, the hydrogen peroxide is limited to a concentration of 2% although 1% is the recommended dosage. The higher the level of hydrogen peroxide in the mouthwash the more it will whiten your teeth. Hydrogen peroxide has a high PH level that can damage tooth enamel if used in high doses too frequently. Many types of mouthwash contain alcohol, so if you want to avoid alcohol ensure that you check the ingredients in the product before you buy it. It is worth noting that alcohol can dry the mouth which encourages the bacteria that can cause bad breath. 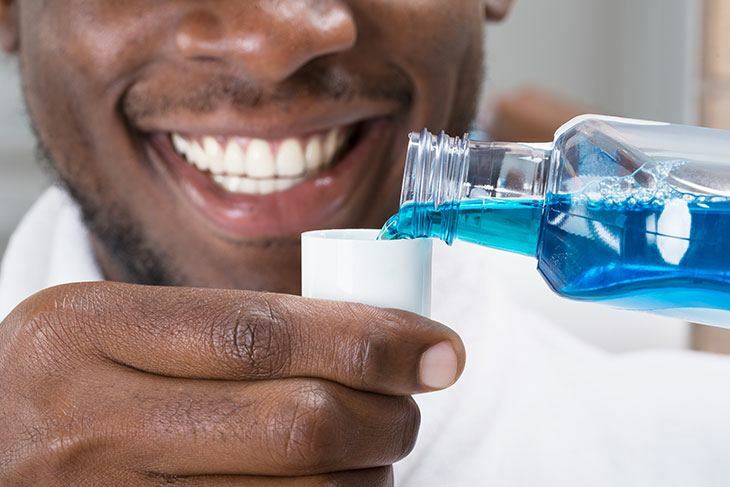 Mouthwashes do more than whiten your teeth; their primary objective is to ensure that your breath is kept fresh and smelling good. They contain breath deodorizers. Some also include fluoride. When choosing mouthwash, you should take account of the sensitivity of your teeth, as some types of whitening mouthwash can be quite harsh on the teeth and gums. There are mouthwashes specifically designed for sensitive teeth and gums, so if you fall into this category you should seek them out. The amount of time that you are advised to rinse your mouth can vary widely from one product to the next with some products requiring only a few seconds and others recommending periods of up to twenty minutes. Usually, the higher the alcohol and/or hydrogen peroxide content the shorter the recommended rinse time. Mouthwash can help you to clean and deodorize parts of your mouth that are hard to reach with a brush. Regular use of a whitening mouthwash will lead to whiter teeth and the confidence that comes with knowing that you look great. Good dental hygiene is, however, no substitute for regular visits to the dentist to ensure that you have a great looking smile into your old age. Let’s Know The Best Biotin Supplement Brand For Hair Growth! Reach Complete care boasts eight in one benefits, helping you to fight tooth decay while whitening your teeth. It has an easy to use dosage decanter and a dosage cup, so you use precisely the right amount every time. The bottle has a toothbrush holder that swivels three hundred and sixty degrees. The mouthwash strengthens your teeth as it freshens the breath and destroys bacteria. The product is alcohol-free. Hydrogen Peroxide helps to whiten your teeth while the fresh minty taste sets the tone for the day. It is nonetheless a mild mouthwash that doesn't overwhelm. Reach foams between the teeth, strengthening the enamel. While some people may love the toothbrush holder, for others it may just get in the way. Crest Multi-Care mouthwash is a triple action mouthwash that not only whitens the teeth in just seven days, but it also freshens your breath. The patented WhiteLock technology whitens teeth while it prevents stains from forming on the tooth surface. It destroys bacteria while protecting your gums but contains no alcohol. It has a fresh minty flavor. This product is safe for daily use, so there is no need to have a second non-whitening mouthwash in your bathroom. Children under the age of twelve should not use this product, so a childproof cap protects it. It is designed for twice daily use, and a sixty-second rinse is recommended. You should clean your teeth before you use it. It contains a high 15% hydrogen peroxide content for effective whitening. It contains no fluoride. Some may not like the flavor as it is not as highly minted as other similar products, but this product’s whitening powers are terrific. Sensitive people may find that the product is too harsh. This product comes in a pack of three. It has a triple action formula that whitens the teeth while helping to fight decay, destroying the bacteria that causes bad breath. Oral Essentials is formulated by a dentist to whiten teeth without bleach or other severe chemical additives. It also contains no alcohol, preservatives, fluoride or sugar. The product uses instead natural ingredients derived from plants. These include lemon peel oil, coconut oil, and sage oil, which gently remove the stains caused by beverages such as red wine, coffee, and tea. It also freshens the breath as every mouthwash should. This product should be used twice a day for sixty seconds. Because there are no harsh chemicals in the product, it will take around two weeks before your teeth are visibly whiter. The mouthwash has a lovely refreshing flavor and works well for sensitive teeth and gums, but the whitening action may be too slow for some. The product is non-toxic, and it excludes genetically modified organisms. Colgate is a well-known brand of oral hygiene products that have been around for decades. Colgate Optic White contains a Hydrogen Peroxide whitening formulation to whiten teeth. It also includes White Seal Technology which helps to prevent the re-appearance of stains on the teeth. Your teeth will be noticeably whiter in five days. The product has just 2% Hydrogen Peroxide. The alcohol-free formulation kills bacteria as it freshens the breath with its minty fresh flavor. It contains no fluoride. This product can be used twice a day for sixty seconds. Colgate Optic White is not as minty as some of the other products on the market, and some may find it too bland. The product is pleasantly foamy in your mouth. Lucky Teeth mouthwash contains 1% food grade hydrogen peroxide to whiten teeth over time. It is, however, free of alcohol, gluten, fluoride, sugar or glycerin. It contains essential oils such as peppermint and organic sage to reduce inflammation caused by gum disease. It is kind to sensitive teeth. It is a great sanitizer that can be used by for braces. You can even use this product as a gargle for sore throats. It has a refreshing minty flavor that will keep your mouth fresh for hours. This organic product contains no harmful chemicals. The bottle is, and it is quite pricey. It is not tested on animals. Our choice of best whitening mouthwash was in the end Reach. The large bottle is equipped with a dispensing and dosage cap to help measure the exact amount for twice-daily rinsing, the formulation is gentle and yet hard working, killing bacteria, whitening teeth, and freshening breath. The mouthwash delivers fluoride into hard to reach places, bubbling in between the teeth as it strengthens the enamel. Its fresh taste ensures that your breath stays fresh for longer. Don’t be shy to show your teeth. A sparkling smile may be your biggest asset. Find the best whitening mouthwash that suits your needs and make sure that you have a smile that lasts. Whitening mouthwash cleans, freshens and boosts your confidence as you know that you look good and your breath smells fresh.